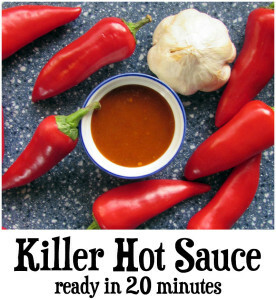 Feel the burn with this killer homemade hot sauce recipe. Ready in 20 minutes with only 4 ingredients! Mix and match peppers to make it hot or mild. We are BIG-TIME fans of Mexican food around these parts. Every week, we make nachos, enchiladas, or tacos (with homemade taco seasoning mix, of course). As I was grabbing a bottle of hot sauce at the store, I turned it around and looked at the ingredients. Apart from the preservatives (yuck! 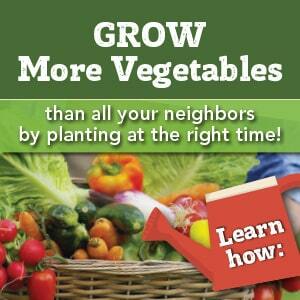 ), the main components are hot peppers, vinegar, and garlic. “I can make that!” I thought, and promptly went home to experiment. I learned a few things from making different hot sauce recipes. Some are really involved and take ages to make. 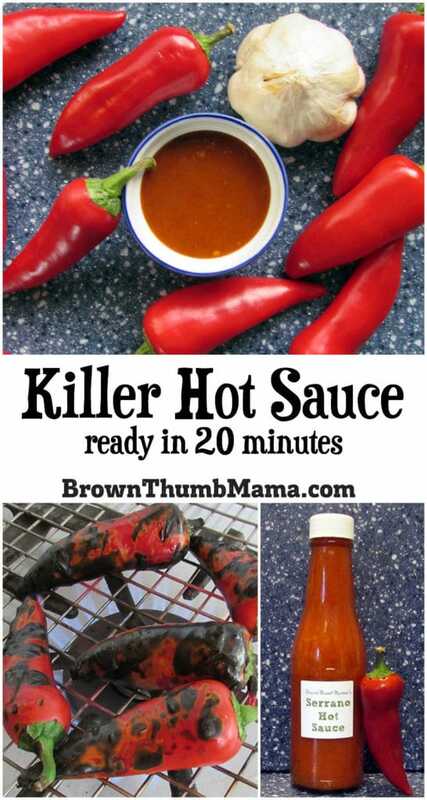 This is my favorite hot sauce recipe, because it tastes delicious and only takes 20 minutes from start to finish. You could make an entire batch of hot sauce before the taco meat is cooked! When making your own hot sauce, the most important part is choosing peppers that have the right amount of spice for your palate. The heat or spice of hot peppers is measured in Scoville units. A bell pepper has a Scoville rating of 0, and a Habanero can rate as high as 350,000. Yowza—that’s a big difference! If you’re a lightweight (like me), I recommend using mostly mild peppers and adding one Serrano or Cayenne to the mix. You can always add more heat, but you can’t take it away. 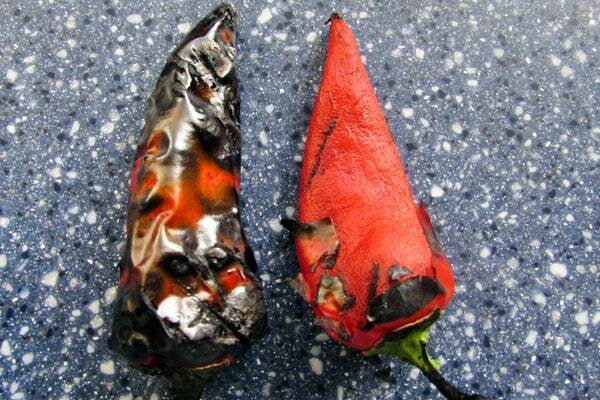 Food-Safe Kitchen Gloves: always use gloves when handing hot peppers. These are my favorite. 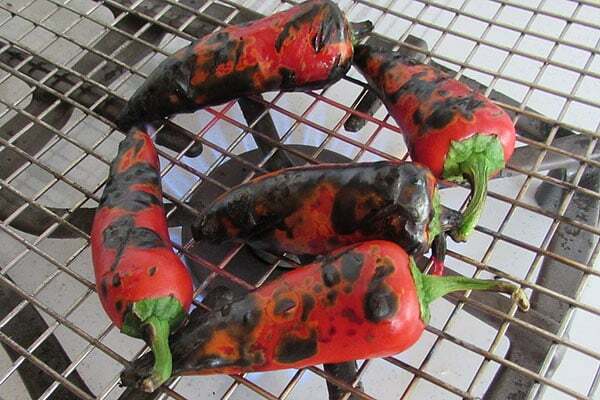 Wear food-safe kitchen gloves when handling peppers! Trust me on this one. Wash your peppers and let dry. We’re going to char the peppers on the stove to deepen their flavor and to make the peppers easier to peel. Put the peppers on a rack that’s set right on the stove burner. Turn on the range fan so you don’t inhale burning pepper fumes. After all the peppers are charred, let them cool for a few minutes. Rub the peels off with your fingers (it’s OK if you can’t get all of the peels off) and discard. Remove the seeds from the peppers if you’d like your sauce to have a milder flavor. Cut the tops off the peppers, and put all ingredients into a saucepan. Bring the sauce ingredients to a gentle boil. This will infuse the flavors into the vinegar and soften the peppers and garlic. Let the sauce simmer for 8-10 minutes. Remove from heat and allow to cool. When the mixture is cool, puree thoroughly with a stick blender (this is my favorite) or conventional blender until smooth. Store in a clean, recycled jar in the fridge for up to a month. Your sauce will be the same color as the peppers that you use. If you want red sauce, use fully ripened jalapenos or serrano peppers as the base. Sauce made from green peppers will still taste delicious, but your family might wonder about the color. If your hot sauce is too hot, cool it down with tomato sauce. Add a tablespoon at a time until you reach the desired temperature. 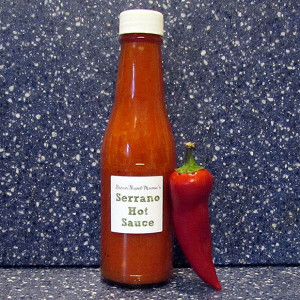 If your hot sauce is too mild, put it back in the blender and add another (whole, uncooked) pepper of your choice. Puree them together and taste. Wear food-safe kitchen gloves when handling peppers! Trust me on this one. Wash your peppers and let dry. We’re going to char the peppers on the stove to deepen their flavor and to make the peppers easier to peel. Put the peppers on a rack that’s set right on the stove burner. Turn on the range fan so you don’t inhale burning pepper fumes. When the mixture is cool, puree thoroughly with a stick blender or conventional blender until smooth. Awesome Sauce…literally! Can’t wait to try it. You can, it just makes the sauce extra-spicy.